Presented annually at the Alumni Association Annual Meeting which takes place during Reunion Weekend, The Non Sibi Sed Aliis Award is bestowed upon an alumnus/a who has brought pride to the Academy by embodying the spirit of the school motto, "Not for self, but for others.” The recipient, or appointed representative, is invited to return to the Academy during the following school year to meet with students and participate in the student body Leadership Dinner series, or similar community event. Potential recipients may be nominated by an open letter to the Alumni Council with a detailed explanation of why an alumnus/a should be considered for this award. The School Traditions Committee will review all nominations and follow up with an interview and additional references. The School Traditions Committee will then choose a finalist to be voted on by the Alumni Council at the Spring Council meeting. To make a nomination online, click here. In his relatively short time away from Byfield, Sean has made us all proud with his leadership and heroism. After jumping the wall, this year's recipient began a highly decorated 14 year career in the US Army, giving of himself to serve his country. He attended The United States Military Academy at West Point where he studied electrical engineering, and military history. During his career with the Army, Sean served as an officer of the US Army Special Forces, as Headquarters and Headquarters Company Commander, and as Operations Manager. During his active duty, Sean was deployed to Afghanistan multiple times to coordinate military ground operations. As Commander of a 12 man Operational Detachment Alpa (ODA) he managed the planning and execution of 48 large-scale operations, including three directed by the President of Afghanistan. He directed training and development of Kandahar's Afghan Commando Battalion (580 personnel), and led 20 Americans and approximately 50 Afghans as a Ground Force Commander on 48 operations spanning across three of the most dangerous Provinces to combat Taliban, Al Qaeda and Islamic State fighters. Under his leadership, he ensured the evacuation of 5 wounded soldiers under intense enemy fire. For his outstanding accomplishments, Sean was awarded three Bronze Star Medals for service and success as a leader in combat in a position of great responsibility, and the Army Commendation Medal of Valor for valorous actions under enemy fire. Nicole is a graduate of the GDA Class of 1995. Upon graduation, she attended Trinity College where she received degrees in Art History and Italian. She then moved on to graduate school at the University of Texas at Austin where she received a Master of Education degree, specializing in Multicultural Special Education. More recently she has continued her education by taking part in the Education Policy Fellowship Program at Northeastern University, a professional development program for individuals in education and human services who seek to enhance their leadership and public policy knowledge and skills. This Fellowship also focuses on the role of government in education at both the state and federal levels and explores the role that Fellows can play in shaping and challenging reform efforts. Nicole has spent her entire professional career working within diverse economic and cultural communities and is currently employed as a Learning Specialist in the Brookline, Massachusetts School District. Prior to joining the Brookline School District, Nicole has worked as a Learning Specialist in Woburn, MA, Winchester MA, and within the Excel Academy Charter Schools. In each one of these communities, Nicole has worked to initiate, implement, and execute programming that not only positively impacted her students, but has influenced change in the school districts she has been a part of. During her time at Excel Academy, a tuition free public charter school serving the communities of East Boston and Chelsea, she developed a systematic break program for 5th grade students with ADHD. This program was met with so much success that it that was then implemented across grades 6 - 8 at Excel. She also identified underutilized programs across the district and used these to collect data on all 5th grade students. This data is now being utilized to develop a new Response to Intervention (RTI) Program that will be implemented across the school district to benefit all students, and help to ensure academic success. She did similar work in Woburn implementing an RTI program for grades K-2. As recognition of her outstanding work in education, in 2010, Nicole received an award for “Exemplary Service in the Promotion of Literacy” from the International Reading Association and the Greater Boston Council. Jim is a graduate of the GDA class of 1968. Upon graduation he went on to study political science and earned a BA from the University of Denver in 1972, and his Juris Doctorate from Boston College in 1975. He is married to his wife Susan, and is the proud father of three children, Bobby ’05, Katie ’12, and Billy. Jim is the managing partner of Rudolph Friedmann LLP in Boston. As a seasoned business, employment, and construction law attorney, Jim brings his clients a vast portfolio of experience and sound legal advice. In 1998, Boston Magazine named him “Best Lawyer in Massachusetts,” and has recognized Jim as a “Massachusetts Super Lawyer” every year since 2005. Martindale-Hubbell, the national directory of lawyers, has given Jim its AV rating, the highest it awards, for over 30 years. Jim is a devoted professional and has used his vast experience to give back to the community through his leadership at many different organizations. As his son Bobby ‘05 expressed in his nomination of his father, “he certainly lives his life in the spirit of the Governor’s motto Non Sibi Sed Allis. Jim currently sits on seven boards, most of which are non-profit organizations including the Anti-Defamation League of New England which he currently chairs. Jim helped to bring the ADL peer group to Governor’s and it is still an active part of campus life for our current students. Jim also is a member of the boards of the North Shore Chamber of Commerce, Essex National Heritage Commission, Association of Builders and Contractors of Massachusetts, Massachusetts Restaurant Association, Eastern Bank and the Marblehead Zoning Board of Appeals. Previously, he has served as a Selectman in the Town of Swampscott, on the Swampscott Zoning Board of Appeals, and on the boards of the Jewish Rehabilitation Center for the Aged of the North Shore, USTrust/Essex and USTrust/Middlesex, Camp Kingswood, and Camp Bauercrest and on the Massachusetts Housing Finance Agency Multi-Family Advisory Committee. In addition to his service with ADL and numerous other boards, Jim serves as Vice-President of the Board of Trustees here at the Academy. In this role, Jim oversees the committee on trustee relations and is an active participant in all aspects of board service. He is the Chairman of the Boston Business Leaders Luncheon Committee, an event that was his idea and create with his leadership. 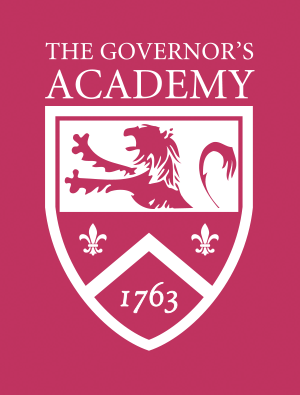 He is the force behind the creation of The Governor’s Academy Lawyers Network and a Catalyst Internship sponsor providing summer internship opportunities to current Govs students. A “natural leader and networking guru,” Jim goes out of his was to ensure his classmates remain engaged in the life of the Academy, encouraging them to attend events and inviting them to participate in Academy programs. Just a few weeks ago Jim received an honorary degree, Doctor of Humane Letters, from Salem State University at the 2016 Baccalaureate Commencement for the College of Arts & Sciences and the School of Education. He adds this award to a long list of accolades that honor his service to the community. Herb Hodos exemplifies the school motto “Not for self but for others”. As his GDA classmate, and fellow Alumni Council member, Tony Hawthorne noted, “Everyone who knows him considers Herb first and foremost a listener, preferring to hear about others' lives ahead of talking about his own.” Throughout his life, Herb has been a dedicated leader and volunteer for countless organizations. In his own words, “the one thing that has been constant in my life since GDA is my involvement in, and support of, the communities in which I have walked”. Herb was the 1956 Morse Flag recipient. He went on to Yale University, where he was the MVP of the baseball team, and then continued onto Boston College Law School. A long and distinguished legal career followed and in 1993 he was appointed to a judgeship in the Massachusetts District Court where he served as the First Justice of the Greenfield District Court. While he was an attorney Herb was an elected member of the Greenfield School Committee. Additionally, he served as a board member and secretary of the United Way of Franklin County, President of the Franklin County Bar association, President of the local chapter of the Massachusetts Society for the Prevention of Cruelty to Children, was a member of the board of delegates and executive committee of the Massachusetts Bar Association, Chair of the local advisory for the Salvation Army, a Board Member and Vice President of the Mohawk Trail Concerts, a Board Member and president of the Temple of Israel of Greenfield and an incorporator of the Franklin Medical Center. Once appointed a judgeship in 1993, Herb’s availability to volunteer became more constrained, but that didn’t stop his drive for community involvement. Judge Hodos helped to lead a pilot project authorized by the Chief Justice of the Supreme Judicial Court of Massachusetts in 1993 called “Reinventing Justice”. His county of Franklin was chosen as a laboratory to invent programs to help envision what justice could and should look like in the year 2022. Three programs of particular significance that were started with this initiative are still in existence today: Restorative Justice, The Drug Court, and the Judicial Administration Team. He presided over the Drug Court for 12 years and chaired the Judicial Administration Team for 14 years. Upon his retirement in 2008, Herb was awarded the “Award of Judicial Excellence” for small courts in Massachusetts. Since retiring from the courts, Herb has been appointed by the Governor of Massachusetts to the state medical board, has volunteered for the Project Reviewer for the Community Foundation of Western Massachusetts, and served on the boards of the Restorative Justice Program, the Performance Project, and Community Legal Aid. As an athlete, Stirling could be counted on to leave everything on the field. She gave 100% and did whatever she could to help her team. This doesn’t just describe Stirling as an athlete, but also as a person. She gave life 100% and no matter what challenges faced her, she always put others first. Stirling was first diagnosed with osteosarcoma in November of her freshman year at University of Vermont. Following chemotherapy and a total knee replacement in March 2005, she underwent rehabilitation of her knee while continuing to be involved with the UVM field hockey program. Her persistence in overcoming obstacles to achieve a high level of athletic accomplishment was recognized when she received the Russell O. Sunderland Memorial Award in 2008. Despite hospitalizations and frequent trips to Boston for medical care, Stirling completed college in four years and also served the University as a student trustee. This is how she was: always willing to give others whatever she had to give, despite what she was going through herself. After college, Stirling continued her battle against cancer and never took a moment for granted. She went to graduate school at Northeastern and became a dedicated and devoted nurse, choosing to work in a neonatal intensive care unit, where she cared for precious babies and their families. Through everything, she continued her studies and her work, putting the families first. Never a victim, she chose to help others by raising money for cancer research and riding in the Pan-Mass Challenge. Not once, not twice, but three times, the third just 10 days after finishing chemotherapy. She road because she was determined to make a difference. She had lost her stepfather, Rey Moulton, a former trustee and member of the class of 1954, to cancer and would give everything she had for the fight. Cancer was her toughest competition, and in true Stirling style, she would never give up. As a friend, Stirling challenged us all to treasure the little moments and live life to its fullest. Though we lost Stirling in July of 2012, she continues to inspire us to be Stirling Strong in all that we do. Her impact is limitless and Governor’s students today continue to follow her lead by raising money for cancer research in her name and fighting for victory on the athletic fields in her honor. Stirling Winder is a wonderful success story, an alumna who left this world a little better than she found it, and made significant contributions to the lives of others.